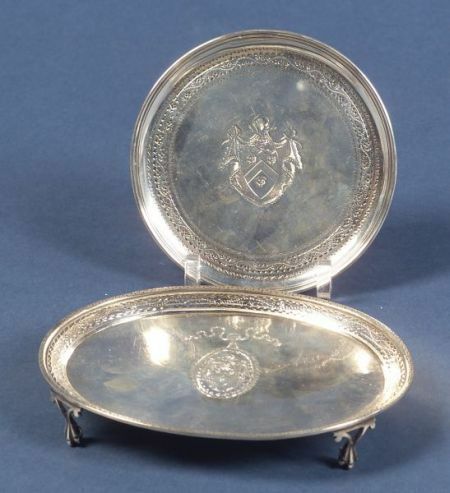 Two Small George III Silver Footed Salvers, London, 1782, comprising a round calling card salver, John Schofield, maker, on tapered feet, dia. 5, and an oval teapot stand, Robert Hennell, on paw feet, lg. 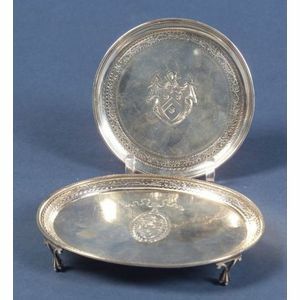 6 1/2 in., both with bright cut border engraving, and central coat of arms, approx. 7 troy oz.